Your car's performance exhaust system needs to be working correctly to keep your car in top operating condition. Performance exhaust systems, whether they are aftermarket exhaust systems, custom exhaust systems or stock systems, help your vehicle in a variety of different ways. The exhaust system creates a more enjoyable driving experience by quieting the engine noise. It also reduces air pollution by controlling the emissions your vehicle releases. Having a properly operating catalytic converter is crucial to ensure that the exhaust system does not have leaks. Visit your local Meineke #1109 in Pittsburgh, PA, today for more information about maintaining high-performance exhaust systems. The more you drive your car in Pittsburgh, PA, your car muffler undergoes quite a bit of use and it needs to be kept in proper shape. If you notice a decrease in your fuel economy, a foul odor from underneath the vehicle or your car seems to be running louder, you should have your muffler checked. Depending upon the severity of the issue, you may be able to just pay for muffler repairs rather than a replacement. If you notice that your muffler is hanging low under the car, it should be addressed immediately. For a detailed diagnosis, contact a technician at Meineke #1109 today. Corrosion is one of the biggest problems facing your exhaust system. When moisture sits in the system, it can react with the metals of the pipes and cause them to rust. Over time, this rusting can cause breaks to form in the pipes which will leak gases and affect the performance of your vehicle. 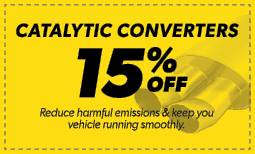 If you drive more than 15 miles at a time on a regular basis, you may consider equipping your vehicle with the stainless steel pipes that are part of a high performance exhaust system instead of those made with traditional steel, to eliminate the problem. Contact Meineke #1109 in Pittsburgh, PA, for information on pricing. Exhaust systems do eventually wear out. The combustion process inside of your engine creates a tremendous amount of heat. This forces chemical changes to occur. While much of your fuel is burned up, one of the remaining byproducts is water vapor. This vapor comes into contact with the metals causing oxidation and rust. Eventually the metals of your manifold, pipes, and car muffler wear out. They develop cracks and weak spots. You may hear loud engine noises or notice an odor as you drive. Fixing the problem may require an aftermarket exhaust or even a custom exhaust system to be installed. If you are experiencing any of these warning signs, contact our in Pittsburgh PA, and have your vehicle inspected. Once you learn that a new exhaust system is necessary to repair your vehicle, you may be wondering where to find the best muffler shop in Pittsburgh, PA. We have many locations available for you to choose from so you can get the performance exhaust system you need at a time and in a location that is easy and convenient for you. 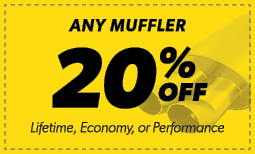 At Meineke #1109, we understand that muffler repair cost is one of the biggest concerns on your mind. Fortunately, our technicians are committed to giving you the best service possible to make your aftermarket exhaust repair experience a great one. Stop by today to learn how we can improve your ride’s performance with one of our affordable custom exhaust systems.